So, what is it that has driven the right of the Party into such a feverish state. Is it rising use of food-banks? No. Is it the growing funding crisis in the National Health Service? No. Is it the fact that students are being rewarded with crippling debts upon graduation or the dehumanisation of desperate people fleeing war and persecution? No. It seems that none of these evils invokes as much anger and righteous indignation among Labour’s elite than a 66 year old campaign veteran who has dared to say that there is another way. So tight has their grip on the party been, that even a whiff of dissent is met with ferocious attacks. Corbynism is the new scourge. It’s supporters and even those who are simply prepared to listen to it’s ideas are branded ‘hard-left’, ‘entryists with malign purposes’ or even those old bogeymen; the ‘Trotskyists’. I doubt any of Labour’s right-wing even know who Trotsky was or what he stood for. That doesn’t matter though. If you say the word with enough venom and bile in your throat you’ll convince enough people that it’s a terrible insult. They have been taken completely by surprise. To them, the left was dead. The old ideological battle between socialism and capitalism had been fought to its bitter conclusion and the free market now reigns supreme. The electorate has been transformed and modernised. Gone are the working-class, replaced with upwardly mobile conservative thinking individuals, who all aspire to be rich. The old ways of thinking just don’t work any more. Or so the story goes. Trouble is none of that is true. The numbers of working poor continues to rise and inequality is rampant. Ordinary people have aspirations, but for many that stretches to being able to pay your bills or put food on the table. The aspiration to own your own home is a distant fantasy. House prices and rents are out of reach for many. Those who work hard at university can look forward to a lifetime of debt. This is a deeply unjust society with wealth and power concentrated in the hands of the few. Instead of living in a post cold-war free-market paradise, we live in a world where bankers and speculators can trigger a global financial collapse, while the rest of us are required to pick up the tab. All over the world capitalist economies are beset with homelessness, unemployment and social inequality. In Greece there is a growing humanitarian crisis caused by the intransigence of the banks and the European Union. This is not a world the vast majority of us want to live in. There is a yearning for someone to offer a critique of the status-quo. Young people in particular are facing the prospect of a dystopian nightmare. Homelessness, unemployment, war, poverty and environmental catastrophe fill the newspapers; and politicians tell them there is no alternative. It’s no wonder a third of the electorate don’t vote, many of them young people. Who would they vote for? What difference wiould it make? Following the Tory victory in the May General Election I wrote a piece, in which I reasoned that Labour failed to regain power from the Coalition precisely because it failed to inspire this very constituency. However, I had no faith that they would come to the same conclusion and I was right. My fear that they would contemplate and even greater shift to the right has been borne out. The right’s analysis that they had lost because Milliband was too ‘left-wing’ flies in the face of reality. By no sensible measure could Ed be classed as a left winger. Those that suggest he was need to explain which specific policies they are basing that analysis on. Even his much vaunted attack on ‘non-dom’ status has been embraced by the Tories and his minimum wage pledge has been gazumped too. The truth is the Labour Party led by Milliband was so afraid of saying anything that might not poll well; it actually ended up saying very little at all. The same cannot be said for the Scottish Nationalists, who campaigned on a shamelessly left-wing manifesto. They cleaned up and it was Labour who paid the price. So, for me and many others it is hard to see the logic in proposing a further move away from the left. Surely the electorate are demonstrating that they are utterly fed up with the same old manufactured sound-bites. They clearly want something radically different. Only 24% of those eligible to vote actually cast it in favour of the current regime; yet Labour are proposing we chase those same voters by offering a slightly different version of pro-market, pro austerity conservatism. In truth in the wake of that catastrophic defeat, I felt like I was just shouting into a void. I never dreamed that such an alternative would ever be on offer. I really believed I was living through the historic demise of the Labour Party as a socialist voice representing working people’s interests. I’d even started formulating a blog to that effect; then along came Jeremy Corbyn. In what is the most open, democratic and inclusive election in Labour’s history he seems to be on course to achieve a stunning and historic victory. He is packing out venues across the country. People have turned up in their droves to hear what he has to say and what’s more they seem to like what they are hearing. So much so in fact that over 150,000 have joined the party or registered as supporters. This is the biggest surge in membership since the end of the second world war. No politician, other than Corbyn is pulling in theses numbers. No political party is attracting so many recruits. 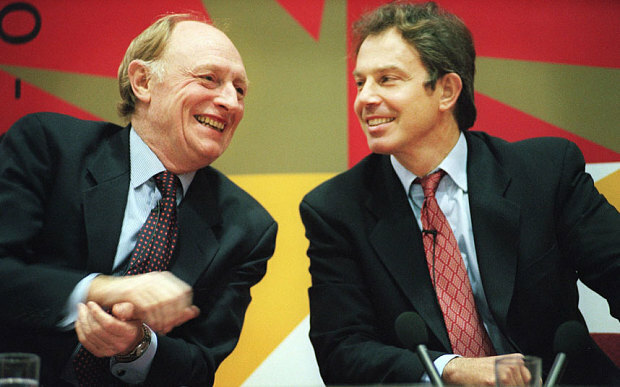 Labour is, and it’s because of the prospect of electing something radically new. You would think that this would be celebrated. Surely for people who crave popularity and cherish electability’ the sight of hundreds of thousands of people flooding into the party would grow their hearts two sizes too big. Not so. It seems that the wrong sort of people are joining the party. The right wanted Corbyn on the ballot, but only to show that they were all democratic and open. They didn’t want anyone to actually vote for him. Of course they want people to join the Party, but only those who fit their very narrow view of the electorate. If so many people are joining to vote for something else, then they must all be members of the revolutionary left. Frankly this doesn’t even come close to being plausible. If the revolutionary left had 150,000 active members, we would have actually had a revolution by now. The reality is that the people have voted with their feet and the parliamentary Labour Party are terrified of them. It seems they have a profound disagreement with the electorate. We now face the grotesque chaos of a Labour Party, a Labour Party desperately trying to cancel an election that they organised, with rules they wrote, because they don’t like the way the members intend to vote. The BBC revealed today that 1200 people have been excluded from voting, including Ken Loach. They are losing the game and they want to take their ball home. This cannot be allowed to stand. 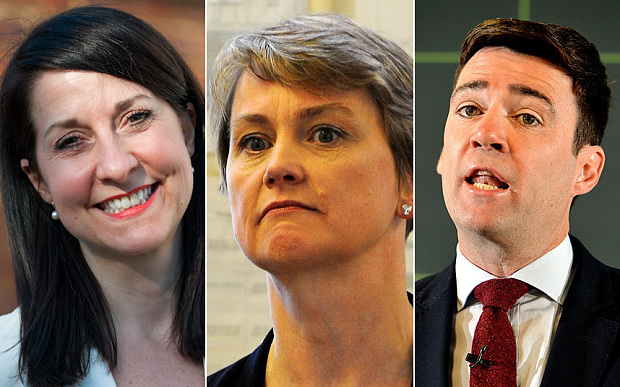 The current Labour leadership have revealed themselves to be thoroughly undemocratic. At every turn they have resorted to personal attacks and negative campaigning in an attempt to derail Corbyn’s campaign. By contrast he has steadfastly refused to play their game, preferring to speak of policies and ideas. We know what the right are against, but we have no idea what they are for. Corbyn is playing by the rules they made and now they want to change them. This is a once in a generation opportunity to change politics in this country. We have a chance to turn Labour into a progressive mass movement capable of transforming the lives of millions of people. To achieve this we must not be complacent. We must make this a landslide for Corbyn in order to prevent the right from overturning the result or attempting a parliamentary coup. The result needs to be so convincing that they simply have to accept it. We have until lunch-time tomorrow for people to join the party or register as a supporter and vote in this election. If you want to see a society where everyone looks after everyone else and people care for each other, where students are rewarded for aspiring to achieve a degree at University, where the NHS is funded properly and free for all at the point of access, where we look for peaceful solutions to problems rather than bombing people out of their homes; then please take this opportunity and join Labour. 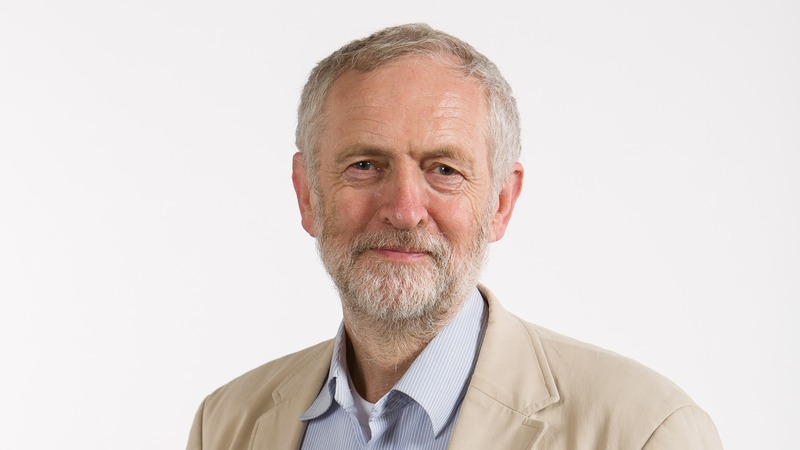 Vote for Jeremy Corbyn.